Or fill out an online form - simply add your story and and click submit. 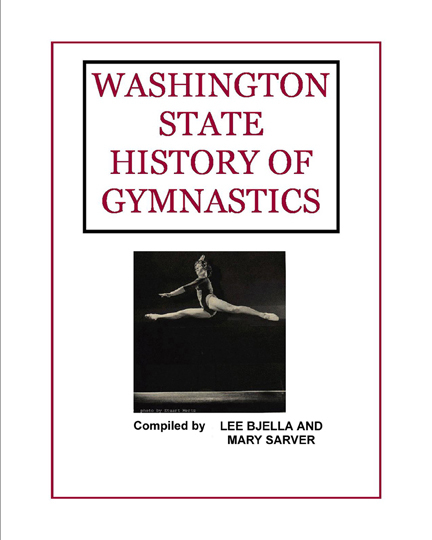 Note: picture on History Cover is of Dale Kephart taken by Stuart Hertz, from Gymnastics For Girls, used with permission from Eric Hughes. 1. A Brief History of Physical Education: Emmett Rice.1926; A.S. Barnes and Co.
2. Gymnastics and Tumbling: Price, Keeney, Giallombardo, and Phillips. U.S. Naval Institute. 1943; George Banta, Co., Inc.
3.Judd, DeCarlo, and Kern. Exhibition Gymnastics. 1969. Associated Press, New York. 4. Bailey, James Handbook of Gymnastics in the Schools. 1974, Allyn and Bacon, Inc.
7. http://abc.net.au/olympics_1996/game1904.htm 1904 St. Louis Olympic Games by Malcolm Andrews. 11.The Crimson and The Gray: 100 Years With The WSU Cougars. Pullman, WA. Washington State University Press. Fry, R.B., 1989. 13. 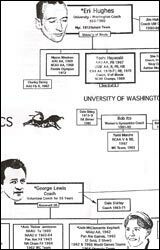 History of Men's Competitive Gymnastics in The State of Washington 1971 Master's Thesis by Robert Joseph Bosse. University of Washington. Many photos included in this website are from Mary Sarvers original manuscript. Others noted, or from personal files. PLEASE SEND ANY INFORMATION that you feel would be of value to this chapter or any chapter to Lee - Or fill out an online form - simply add your story and and click submit. Many photos included in this website are from Mary Sarvers original manuscript. Others noted, or from personal files.